It wasn’t a long cruise, just down to Bulls Bridge Junction at Hayes. 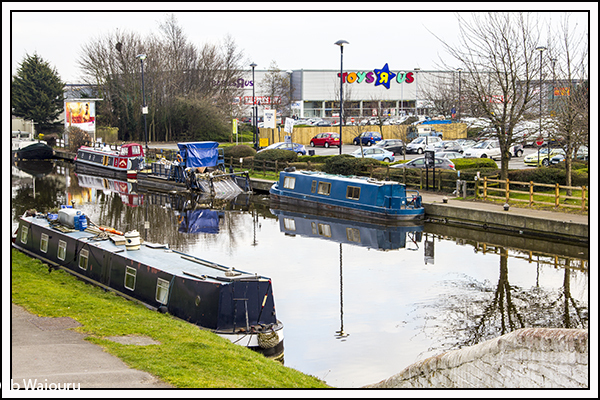 The canal provides a linear green belt through what would once have been a heavy industrial area but is now a mixture of industry and residential. Colham Bridge is rather interesting. 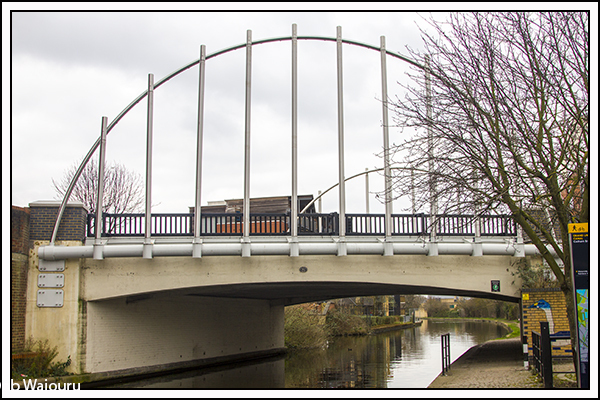 It has been strengthened by bolting a tubular arch on either side. The arch is taking some of the load and transferring it to the bridge abutments. The abutments have also been strengthened by fitting square steel plates. 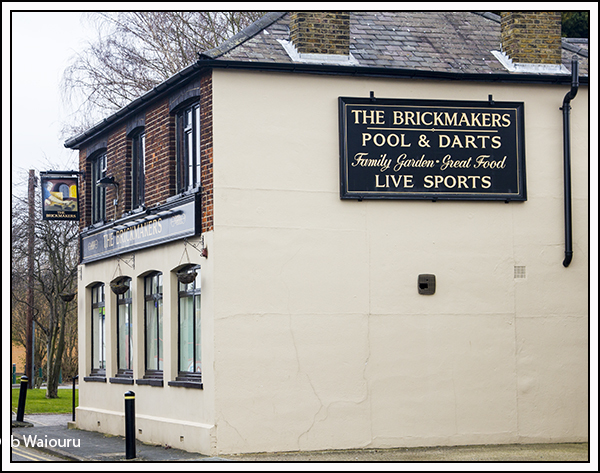 Set back from the canal is The Brickmakers Pub. A reminder of the areas industrial past! What a shame we don’t have a solid fuel stove. 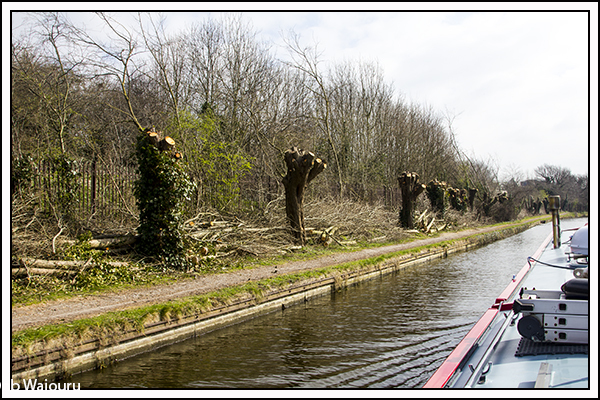 The trees beyond Stockley Road Bridge have received a severe haircut and there’s now plenty of available firewood. 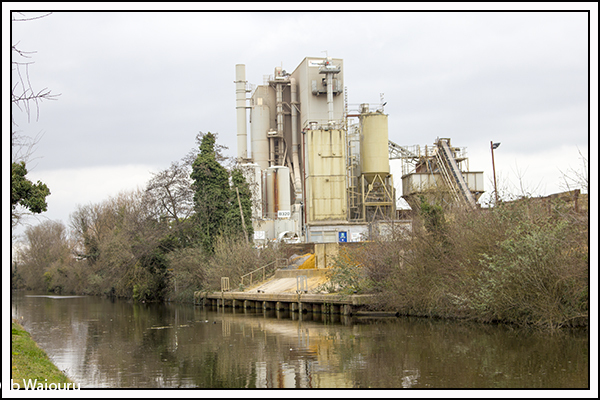 There’s a large batching and concrete plant on the south side of the canal. The name on the building was Hanson which reminded us that during our travels we have seen a number of trains hauling hopper wagons with Hanson on the side. 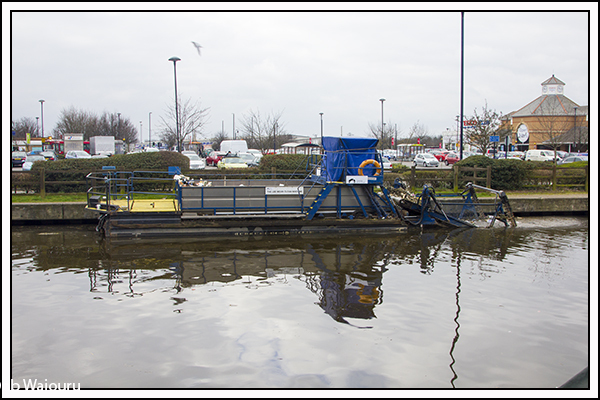 I had assumed the mooring in the photo was obsolete but Jan suggested CRT might us it to collect aggregate for towpath maintenance. 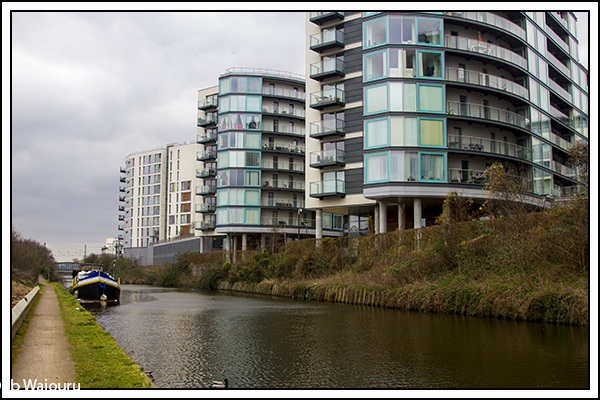 The south bank then became residential with a series of large and modern apartment buildings. And then it reverts back to industrial with a large Nestle factory. 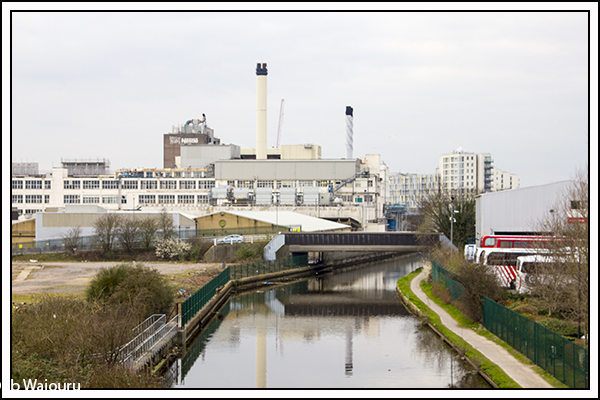 Unfortunately, unlike the Marlows Factory on the Peak Forest Canal, there were no mouth watering smells in the air. It can’t be their chocolate factory! We arrived at Bulls Bridge Junction after a slow two hour cruise. There is a water point and 24 hour moorings here. The blue boat in the middle of the photo is moored on the water point and it appears to be vacant. The boat moored to its left is a CRT working boat. It has been on the 24 hour moorings for at least 3 days. The boat’s name is The Lee Mean Clean Machine. In the afternoon I managed to wash, dry and polish the starboard side. Only the roof left to do! But we have run out of polish…… Bloody good timing! The Nestles factory was/is a coffee plant, it smells disgusting when the wind is in the wrong direction and has been the bane of the locals for years as it regularly emits 'burnt' coffee embers that stick to everything. I know because I worked in Hayes for a number of years. 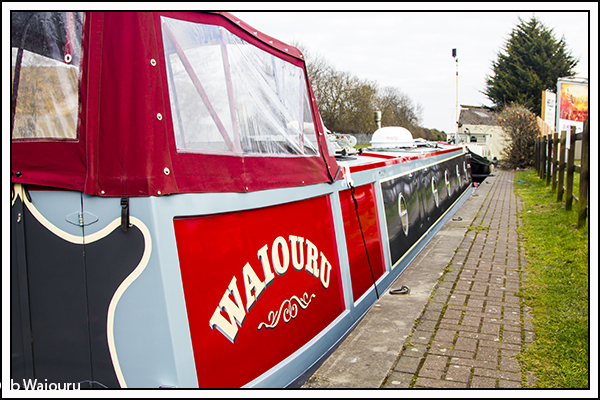 If you happen to call in at Willowtree marina please give my best wishes to Arthur the manager and my mate Roy who moors there. Anyway, we really liked Willowtree, and would have liked to live there. Do you still need to hire one of our grandsons for painting inaccessible parts of the bilge? I am sure I can arrange it! Hi Marilyn, We have yet to see Willowtree Marina. Somewhatfortunately for us a video on the canal trip by Tim & Pru has just been shown on TV so at least wehave a slight idea on what to look for. No requirement for a grandson (thanks) I've been advised to use a spray can of primer and hammerite to reach that inaccessible place! I would have been surprised if the wharf was built to service BW/CRT. Commercial traffic is far more logical.